This is a bit of a departure from my normal Siege of Petersburg sampler in that I’m choosing to highlight just one item today. But first I want to give a little background. In reality, Hagood had lost 25 men killed, 72 wounded, and 209 missing and presumed captured, not too many less than Clay’s estimate. 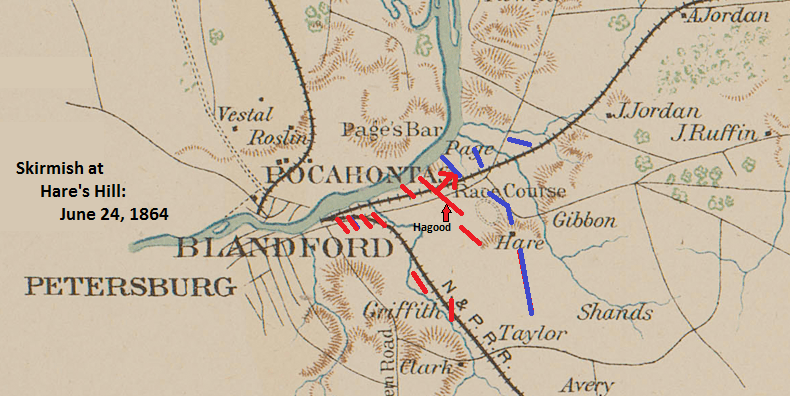 So ended what was a pretty traumatic affair for Hagood’s South Carolinians, matched during the Siege of Petersburg only by their equally futile unsupported attack on the Iron Brigade at the Weldon Railroad, August 21, 1864. But that’s another story for another day, 150 years to the day (give or take a day!) ago.